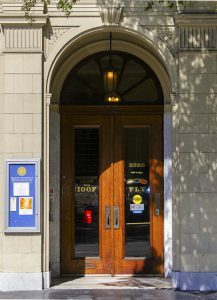 After several months of negotiations with our landlords, the International Order of Odd Fellows Berkeley Lodge #270, Berkeley Shambhala has signed a five-year lease. Since the mid-1990s our rental situation has been month-to-month. During that time, our rent slipped far below market value, to the point that in 2015 we were paying about 20% of market rate for Berkeley office space. Simultaneously, the Odd Fellows have been forced to invest significant amounts of money into the maintenance of the building. They are now working to substantially increase the rents for all tenants in our building in order to better share the costs associated with the space. For example, they recently lease a suite on the third floor of our building for over $2.00/sq. ft., or four times the rate that we have been paying. On June 1st, we will begin paying an average of $1.17/sq. ft. for our space, about twice what we were paying previously. Beyond these initial increases, our rent will continue to rise by 10% per annum in order to reach approximately 2/3 of current market rate by 2021. In other words, our monthly rent will increase from $2,635 in 2015 to $4,957 this year, with significant yearly increases thereafter, reaching over $8000 in 2021. Obviously, such a sharp monthly increase represents a financial challenge to our community. However, based on our research, our space is likely still the best deal we can find in this market. Through a combination of increased revenue sources, including rentals, programs, donations and increased members’ dues, we will be able to meet these increases. We are asking everyone to lend a hand. 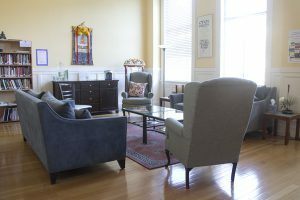 Whether or not you are an existing member, if you come to the Shambhala Center regularly and value what we provide here, please consider helping us meet this new financial burden. Our Center is largely supported by about 100 members paying on average $50/month. If you are already giving to the Center on a regular basis and would like to increase your dues, you may email Iraj Vala at iraj [dot] 2535 [at] gmail [dot] com. If you are not currently giving dues monthly, you may sign up at http://berkeley.shambhala.org/community/membership-form/. In order to begin a community conversation about the future of the center, we will have an initial gathering on Friday, June 10th from 7:00 PM to 9:30 PM. This will include time for questions and answers with center leaders and an opportunity to begin raising funds to meet our goals. All are welcome; please join us if you can. In many ways, this change simply reflects economic forces that are much larger than our Center. We can no longer rely on significantly subsidized rent in a large space in downtown Berkeley. I imagine that this news brings up a variety of emotions; personally, I have experienced fear and uncertainty as these negotiations developed. However, through reflecting on the teachings that we have been given, we can discover enormous reservoirs of potency and intelligence. As a community, we are practicing for moments precisely like this, when we must rouse our fearlessness and good hearts.Please do not hesitate to reach out to me with your thoughts and questions.